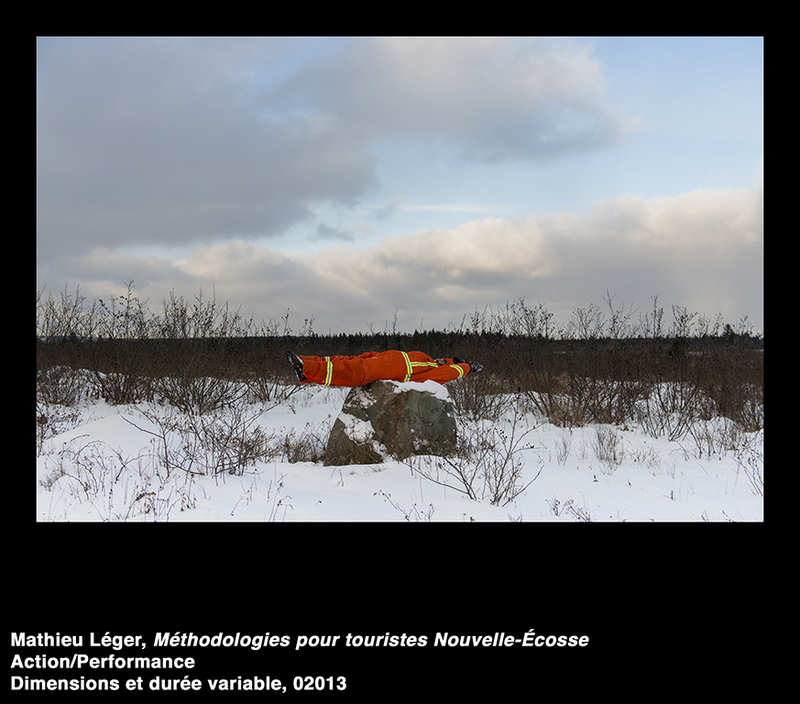 These images are of the actions/performances executed during a residency at Université Sainte-Anne in Nova Scotia in November/December, 02013. 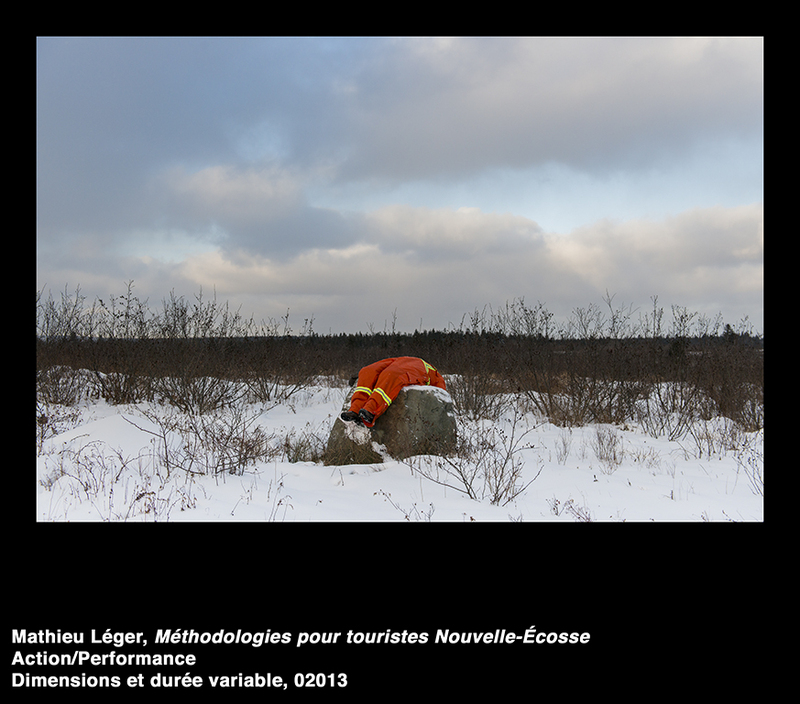 These actions seek to find a conceptual basis for survival in the region of Church Point, NS. 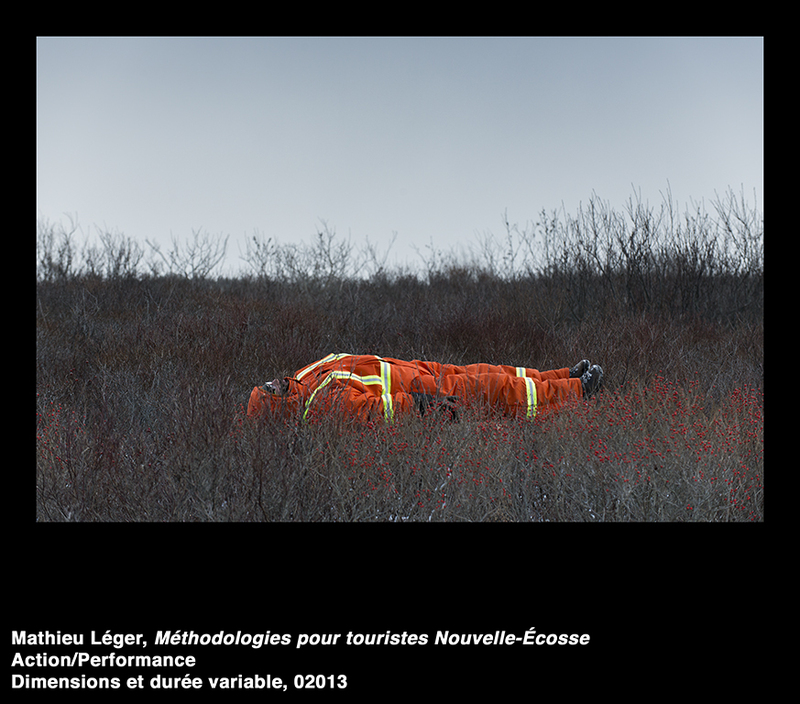 The works explore ideas of flotation as survival tactics, but in situations of terrestrial landscapes. The point of view of the spectator is the ocean. Here, the spectator is found to be in a precarious position and not the artist. (The body in the top images is about 2 meters above ground). Acadians were resettled in this region after the expulsion by the English. The lands were very difficult to farm, so survival was very dependent on the surrounding waters. Terra firma is supposed to provide a solid survival space for humans, but this was the only land the English were willing to provide to Acadians, having taken all the valuable farmland for themselves. L'artiste désire remercier artsnb, le Conseil des Arts du Canada, le Conseil des arts de la Baie, La Manivelle et le Centre acadien de l'Université Sainte-Anne pour leurs appui. 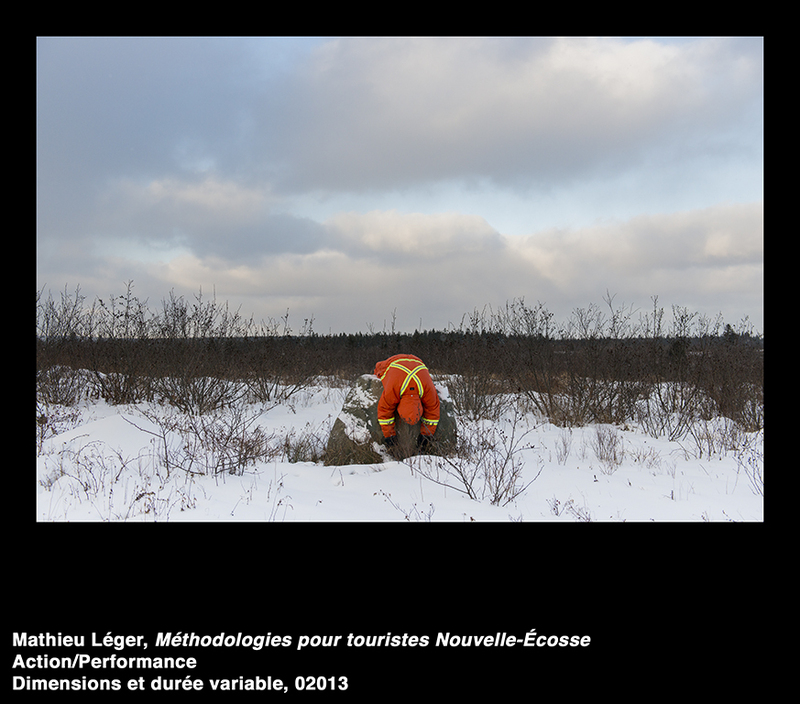 The artist would like to acknowledge the support of artsnb, Canada Council for the Arts, le Conseil des arts de la Baie, La Manivelle, and the Centre acadien de l'Université Sainte-Anne for this series of works.